Dubrovnik, also known as the “Pearl of the Adriatic”, is one of the most magnificent walled cities in the world and as such has been awarded UNESCO Heritage Status. The main attraction is the pedestrian-only old town with its limestone streets and Baroque churches, all ensconced within the imposing medieval fortified walls. 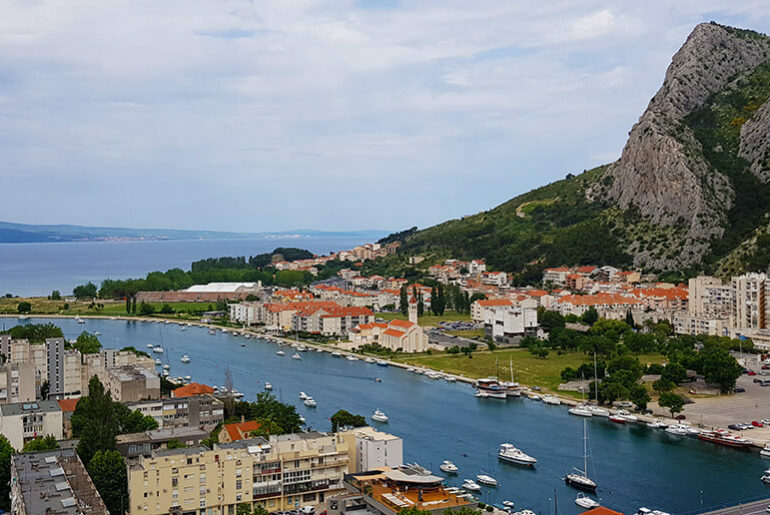 Walk the walls while the Adriatic glitters below, catch the cable car or hike up Mount Srd, go for a kayak in the bay or find a cove from which to swim in the delicious turquoise waters. 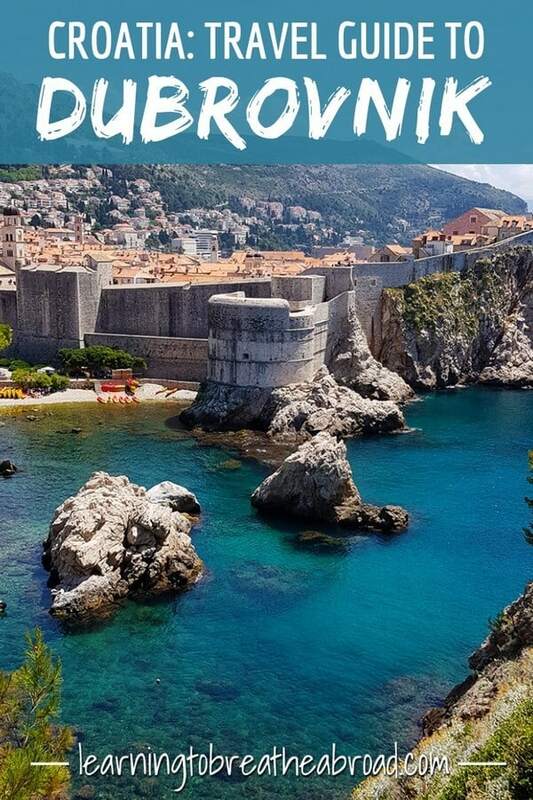 The crystal clear waters, incredible architecture and tumultuous history have tourists flocking to Dubrovnik, making it one of the most popular travel destinations in the Balkans. It is also the main departure point for sailing holidays, cruise liners and those planning on going further South to Bosnia and Montenegro. An abundance of accommodation, fabulous eateries and myriads of things to do, will ensure that you have an unforgettable stay in Dubrovnik. Below are our recommendations on things to do in Dubrovnik. It was 8.30am and already the sun was beating down, but alongside our route, the water was the most incredible colour I’ve ever seen and so crystal clear that I could easily make out the rocks on the ocean floor. It looked amazing! We thought being early we’d miss the tour buses but no such luck, so we paid for our tickets to be allowed to walk the walls – 150 Kuna for adults + 50 Kuna for a child – and joined the queue to climb the steps. But the queue never ended, it just continued in a solid stream right the way around the walls. Back to back tourists, stopping to take pics and shuffling along at snail’s pace, while others jostled to get past. Even walking in the old town within the walls was jammed packed with tourists. Trying to get a photo without 100 other people in it took a huge amount of patience and lighting fast timing. Our top tip for visiting is to get to the Old Town super early or even better would be visiting in the early evening, when the cruise liners visitors have returned to the ships. The early evening will afford you romantic sunsets and the bonus of it being cooler than during the day. In retrospect, I think we would have had a more enriching experience had we taken a tour and heard about the history and events that happened on the walls. The Old Town is jam-packed full of restaurants, shops and most importantly – gelateries. Wander the ancient cobbled alleyways where you are sure to find the odd cat to tickle. You can’t miss Onofrio’s Fountains as you enter the Old Town. Drink your fill of this delicious water and don’t forget to refill your water bottles. There is so much history in these walls, so make sure to take a moment to soak it all in. If you’d like to learn more about the history of the Old Town and get a chance to visit all the landmarks, then you might enjoy the Old Town Guided Walking Tour. From the old city, we meandered down to the water and up to Fort Lovrijenac. The views from here were the best we’d seen all day! There were hardly any people and it was for free! Yes, the City Walls are amazing, but you can’t appreciate their immensity when you’re on them. For the best views of the City Walls, I’d definitely recommend a trip up to Fort Lovrijenac. And the colour of the water from up here…just WOW! And even better was that it was in the shade, so we hung out on the steps for a bit and watching the goings on below. One of the biggest attractions is the Game of Throne’s Tours. Dubrovnik has been one of the main locations used for the filming of Kings Landing during every season of Game of Thrones. Many of the tour guides were extra’s during filming so can regale you with stories and gossip from behind the scenes. If you are a Game of Throne’s fan, don’t miss the chance to visit the exact locations used in the famous scenes. For some of the best views of Dubrovnik, head to the top of Mount Srd. If you’re feeling energetic you can do the 90-minute walk or the easier option is the Cable Car. (150 kuna for the round trip). Enjoy a sundowner drink at the restaurant while enjoying the panoramic view over the red roofs of the city and the shimmering aquamarine of the Adriatic Sea. If you’re interested in local history why not pop into the War Museum while you are up there? For a completely different perspective, why not hire a sea kayak and navigate the city walls from sea level. The immenseness of the walls from down below is breathtaking! The best time to visit would definitely be during summer so you can enjoy the beautiful blue water and gorgeous weather. That being said, summer also means LOTS of other tourists which can make it very busy. High season runs from June, July through to August, but this is summer holidays for most of Europe, so everyone and their dog will be here. If you can manage to visit during the shoulder seasons of April, May or September, October, you will get the best of both worlds – lovely weather and far fewer tourists. What could be better than staying right in the middle of the Old Town? When everyone has left for the day you can almost have the old cobbled streets to yourself. 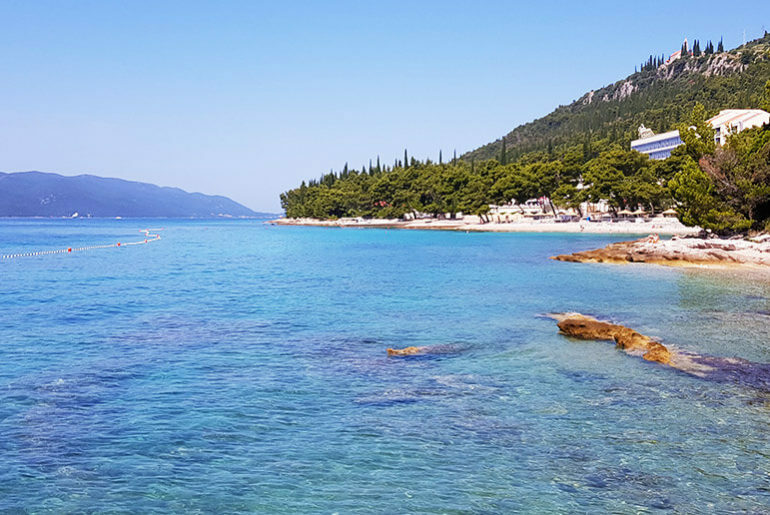 Ploce is a great alternative area to stay. Just outside the city walls and a stone’s throw from lovely Bonje Beach. You are close enough to be part of the Old Town action, but far enough away to be away from the crowds. Wanting to be out of the hustle and bustle? Why not try Lapad. 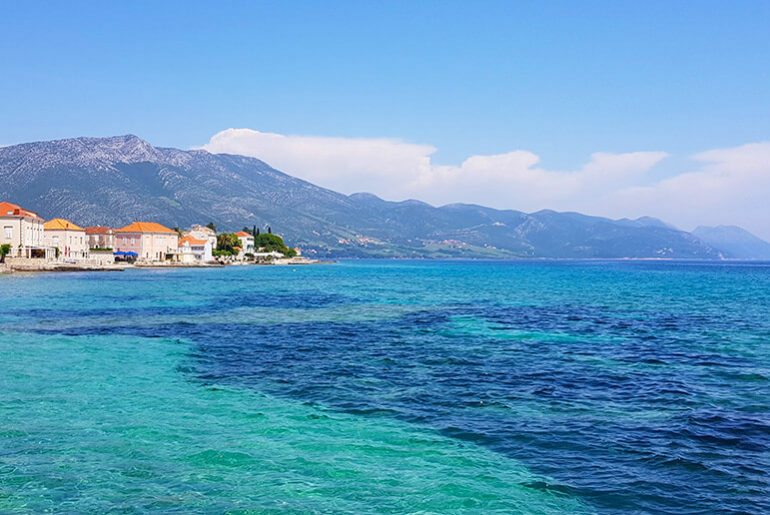 Just a few kilometres away from the Old Town, Lapad is quieter with gorgeous beaches. If like me, you have a penchant for oysters, then you’ll love the Peljasec Peninsula! Add to that the myriad of local wineries and some of the best beaches in Croatia and you have a match made in heaven. And the very best part… hardly any tourists! Another must are the ancient fortified Walls of Ston and the Ston Saltworks. One of the most popular tours in Dubrovnik is the day trip to visit Mostar in Bosnia and Herzegovina. Less than 3 hours away from Dubrovnik, Mostar is an easy trip that will take you into a completely different world. Here you’ll find a strong Turkish and Muslim influence evident in the food, the market, and the culture. Marvel at the daredevil divers as they plunge into icy waters from the iconic bridge. Wander the bazaar, smoke a hookah pipe in a cafe, slip, and slide on the shiny cobbled streets. Whatever your pleasure, Mostar will delight you with its charms. After spending 3 weeks seeing amazing medieval towns like Labin, Rovinj, Trogir, Sibenik and Omis, where you can wander the streets with hardly any other people around and really get lost in the alleyways, I am sad to say, I found Dubrovnik to be my least favourite sightseeing experience. I know, I know, how could I say that when it’s one of the biggest tourist attractions in Croatia! Well, I suppose that’s the main problem – just too many people! Next time I’m definitely going out of season! Dubrovnik is the most visited city in Croatia with nearly 2 million visitors a year. In fact, the city has had to make a deal with the cruise liners that no more than 8000 passengers may disembark on any one day. This was done to prevent overcrowding, but the rule is often disregarded. I think the secret to visiting Dubrovnik is to go in low season when there are no cruise ships, or super early in the morning before the tour buses arrive. If you can manage that I am sure you will have a completely different experience – a much better one in fact. It was only when looking through the photos I had taken while in Dubrovnik, that I got to see and appreciate the beauty of this incredible city. I’m just sad that the crowds were such a distraction. Traveling in a campervan has many perks but they are a pain when it comes to visiting cities! Obviously, we don’t fit in a normal parking space, so before venturing forth, I always have to research places to park and my failsafe is www.park4night.com. 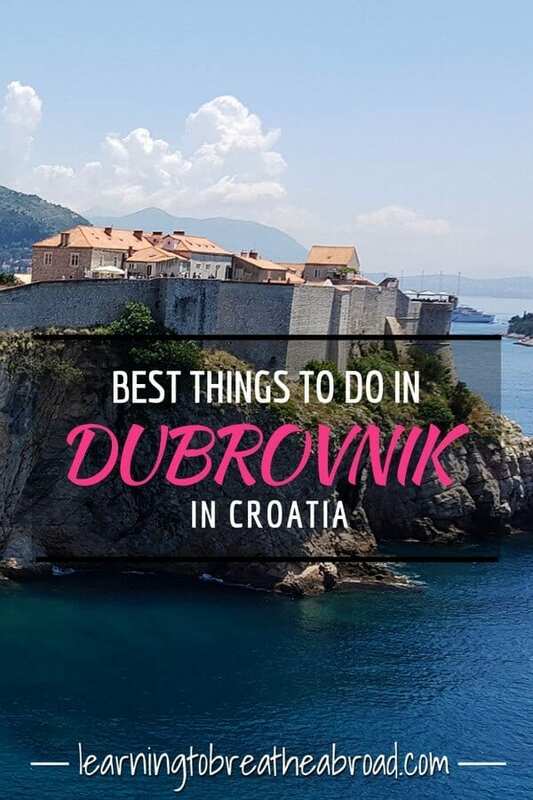 Those that have gone before and found suitable places, post them on this site to make life easier for the likes of us and when it came to Dubrovnik, we scored the biggest win ever! This time the parking was behind a Konzum supermarket (42.648102,18.095900), only 15 minutes walk from the Dubrovnik City Walls and it was free! To put this into perspective, all the other parking places we saw while walking to the walls were 35 Kuna per hour. That’s nearly $6 per hour! We were told to get here early in order to get a spot and by the looks of things everyone that parked here was heading to town as well, so I’m glad we got a spot. We stayed at Camping Trsteno. A small campsite among lots of trees. An incredibly steep road – 500m – down to a little port with beach and restaurant. Full camper services and only 25 Kuna for washing machines. 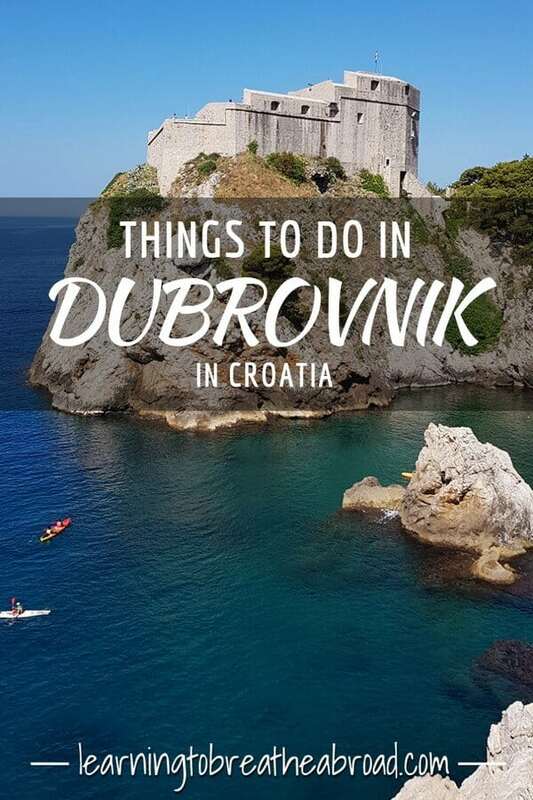 It is only 15km from Dubrovnik with a local bus that can take you into town. They accepted ACSI card so we only paid 17 Euros.